I like this plan. It sounds like a good way to keep yourself in shape and ready for the next season. I usually do one day a week of tempo at either goal HMP or MP. I also do one day of hills or speed work (so intervals or fartlek). I warm up really well for both of those runs. It's actually pretty nice to get some speed work in. It makes my legs feel really useful! I'm not even sure what my HMP is right now, but when I do my tempo runs I'm going to have to figure that out! I figure on the days I do intervals, I'll warm up and cool down more than usual to get my mileage, because I usually do about 3 miles of intervals but I'd like to keep my distance at 5 miles during the week. I bet with your added endurance/milage from the marathons...you would totally PR in all those shorter distances. I don't do any planned speedwork...a fault I'm sure...but when I start 'working' at my runs I find I forget why I'm out there...and for me...that's to have fun! 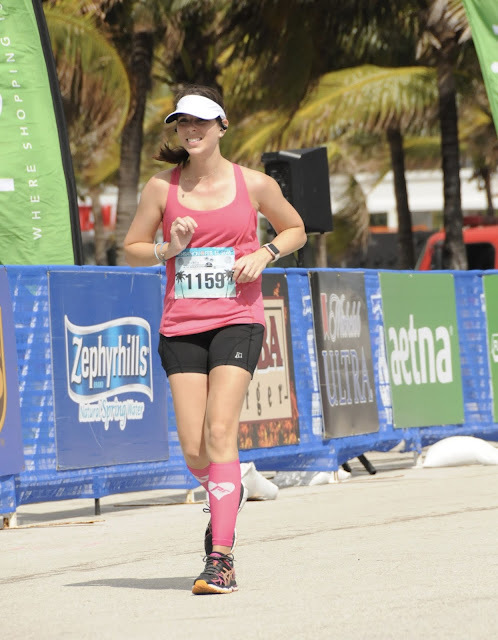 I've gotten SO slow doing marathon training...I hope my body quickly remembers how to move fast when the distance is shorter! I only do speed work when I am going to race. Normally I only do one day a week. But for this 10 miler coming up I am gonna do intervals one day and tempo another day. If my body can't handle it, I will have to readjust but I don't want to. My tempo pace isn't CRAZY or anything. The speed work day is more of the actual FAST day where I feel throw uppy. The tempo day is mild discomfort. Yeah, I thought tempos were supposed to be challenging but not awful, and speed work/intervals are like the throw uppy feeling days. If I can lower my paces significantly, maybe I'll only have to do speed work once in awhile, too! Yay for Goals!! I like how you are approaching this and also noting the commitment it will take. I do believe some people tend to forget how much time training can use up and then it gets overwhelming. Everything sounds very reasonable and you know what your getting into. I just started a new plan as well with much more strength training...so far I love the feeling of my muscles working extra hard! You have totally got this!! It's easy to talk about goals and commitment before it's time to follow through. That's the hard part! I hope I can get myself to stay on top of it all. I started doing speedwork 2x a week last August. I've kept that up pretty consistently. I'm going to keep doing that because I'd like to condition myself to get down to the 10 minute mile range in most of my runs, especially up to the 10k distance. And I've begun to think about trying for a 10k PR at my Disney run in April. Since I'm planning on a slow half for the challenge so I can take pictures with characters, I feel like I can settle for a speedy 10k. It's really about what you get used to- don't start out too fast as you said, but condition yourself slowly. I think you have the makings for a very smart and consistent plan! Your speed work has been paying off! I think conditioning myself to hold a fast pace for a 10k will be my first mini goal, too, since I'm already able to hold it for my 5k. This time of year is always just FULL of stuff, isn't it? It's like everyone waits to drop the stressful life stuff on us until spring. Well, going for our goals will hopefully give us an outlet! We'll help each other through. I feel like we're on the same plan this year! Yours is definitely loftier than mine though. I will probably peak at 15 miles a week, it seems like that's what my body prefers. 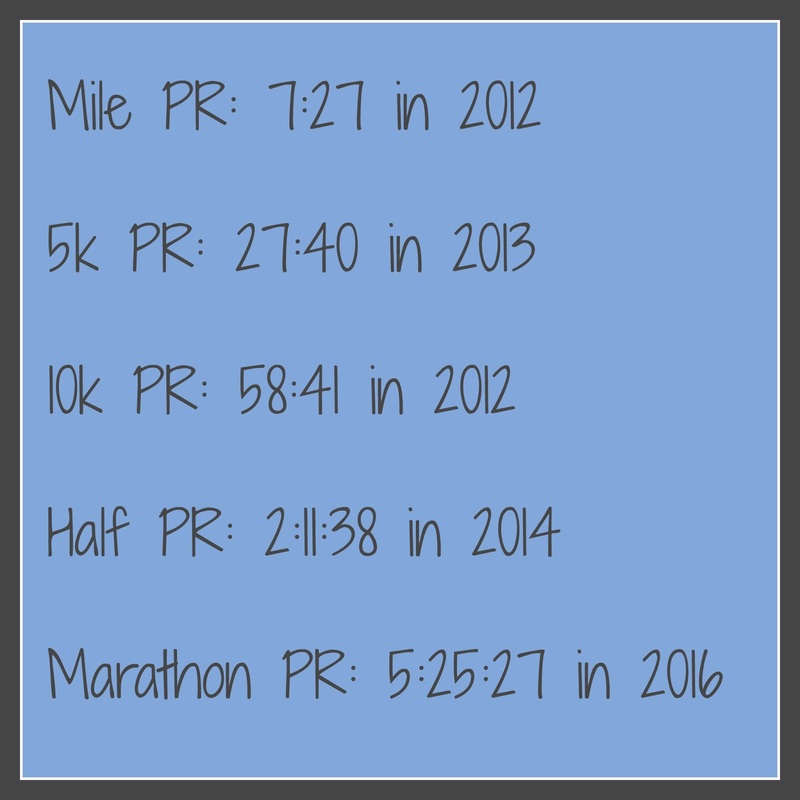 I haven't sat down to make a list of my PR's per distance but that is a great idea! I'll be putting it on the bathroom mirror! Oh, I should totally put my PRs somewhere I can see them easily! Maybe on the fridge, since I spend so much time there haha! 15 miles a week is a nice usual mileage, but I really want to try to push my comfort zone this year! I tend to run races quite regularly. While I don't expect to PR at any of them, they keep me in a sort of constant training cycle. Off season weeks end up closer to 20 miles. I miss the days of running races every weekend. I just can't afford it these days. They are definitely a great way to keep yourself consistent. I really like the idea of working on shorter distances and building speed. It's something I've wanted to do for a while but can never seem to fit in my schedule. I think I need to do what you're doing and devote a year to it. Yeah, it kind of sucked to just be like "I'm taking a year off from other distances to do this", but I know in the long run it will pay off. And I'm in the mood for short now...I think I burned myself out a little on long distance, which is fine, because this will be a nice change. How exciting that you'll be focusing on speed! Right now I'm training and I do one run with speed intervals, one long run, and 2-3 easy runs per week. 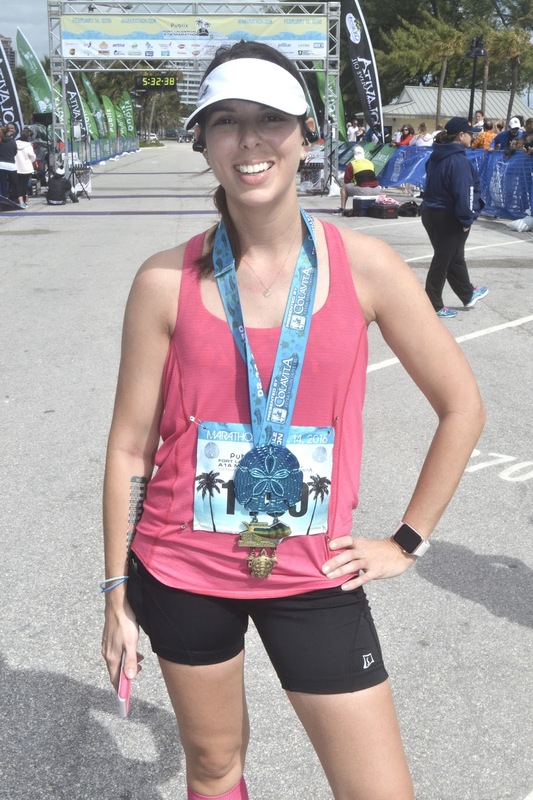 When I worked with my coach, I would have one run a week that ended in a few 30 second strides - slower than a sprint, but still really helped a lot with my speed. I look forward to seeing your progress! I'll definitely be doing strides this year. I've never done them so I'm hoping they make a big difference! 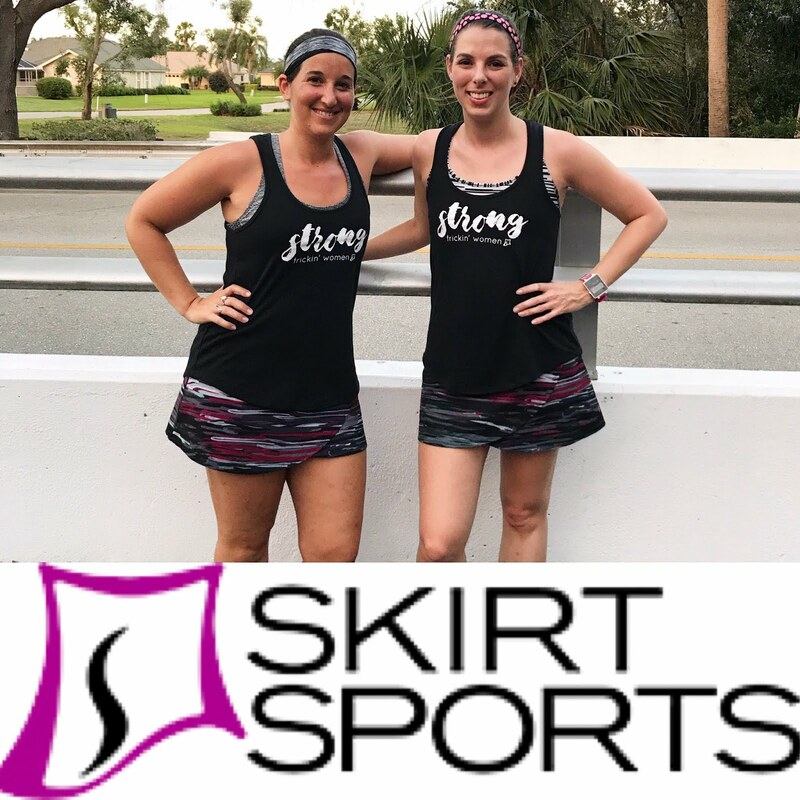 I know the general rule of thumb is that 80% of our runs should be easy, so hopefully putting a heavy focus on speed work and tough runs right now will help condition me! Great post I totally feel ya on getting faster. 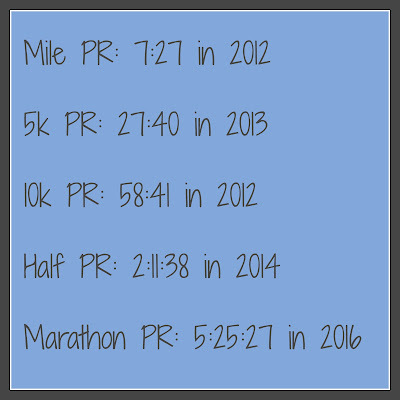 I want to start tracking PR's this year. It's good to have a clear goal in mind and PRs really hep with that!